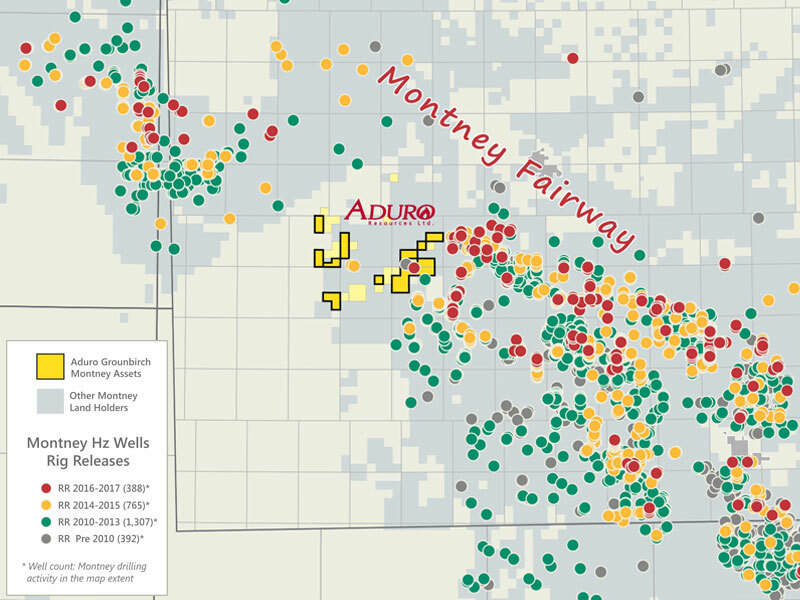 Aduro Groundbirch Assets – Strategically Located in the Montney Liquid Rich Fairway with 100% Working Interest in current production, pipelines and facilities. 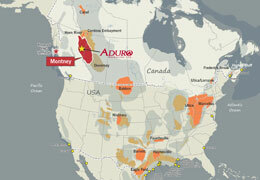 Privately owned Aduro Resources is centrally located in the British Columbia Montney resource play. Aduro has an ideal platform on which it continues to build a significant position in a world class natural gas liquids rich play. Contact Aduro's Investor Relations to receive electronic copy of Aduro Corporate Brochure. 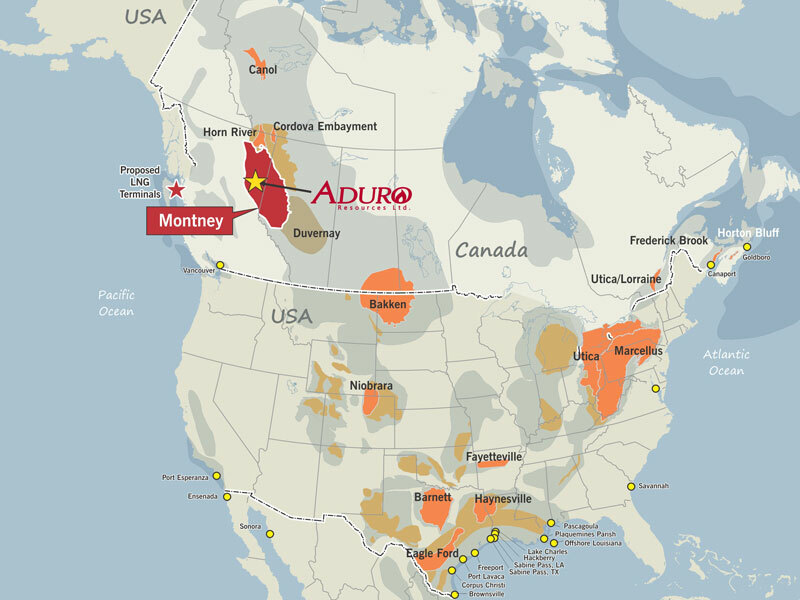 Aduro Resources is led by a multi-disciplinary management team with extensive experience in the Western Canada Sedimentary Basin. 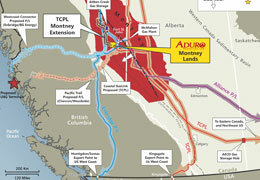 Company owns over 15,000 net acres of Montney formation rights in the established Groundbirch field of Northeast British Columbia’s prolific Montney Fairway. Aduro Montney Land Position Map (as of Jan. 1, 2017) – Download PDF. 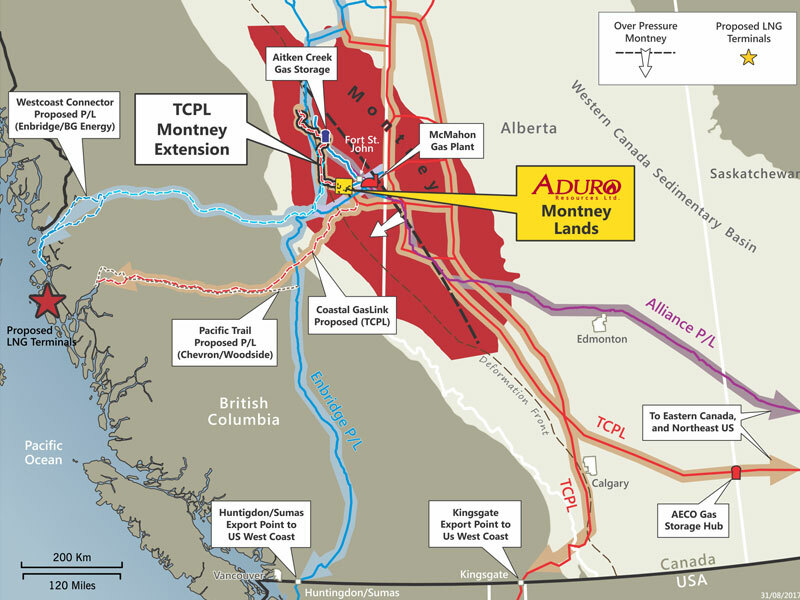 Aduro’s lands have direct access to future proposed pipeline routes to the West Coast, and have existing gas gathering and processing in place to facilitate Montney resource development. 333 - 11th Avenue S.W.